What if I told you there was an inner Warrior who could achieve anything she set her mind out to do? Our ministry is to train and encourage your very inner Warrior so you can be disciplined in your body, mind and spirit therefore accomplishing all of the great tasks God has assigned to you. A physically fit body enables you to fulfill your purpose the way God intended: with confidence, ease, and joy. When you embark on a health & wellness journey, it can be difficult to stay motivated, maintain a routine, and find enjoyment in working out. 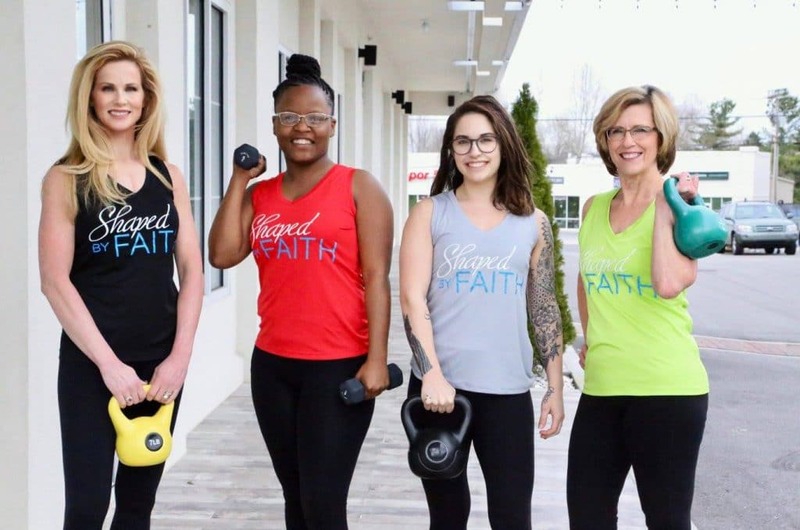 With Shaped By Faith, you will find a community of like minded women who will support you in achieving your health goals. Isn’t it amazing how God can empower and strengthen us to be disciplined in the areas of our body, mind and Spirit? He is preparing you to be sent out, and become the woman He has created you to be! Theresa is a nationally certified fitness professional, author, radio and TV host, motivational speaker, and child of God. 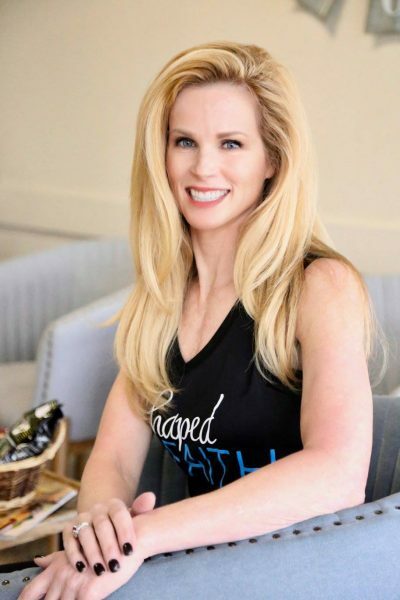 She has been teaching a smorgasbord of fitness classes for over 30 years, and has taught thousands of people how their health and wellness can strengthen their faith, while strengthening their bodies. 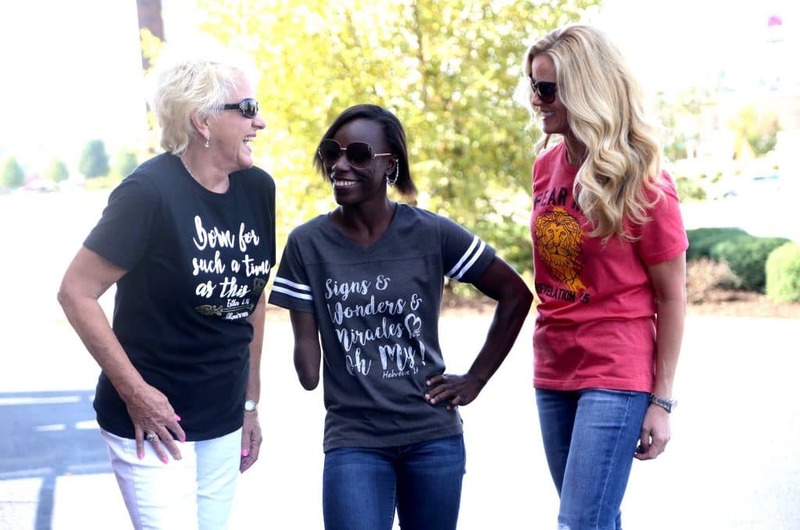 As a survivor of two open heart surgeries, Theresa exercises her ministry by sharing life experiences, offering hope by positively impacting the lives of others, and inspiring a spiritual approach to whole person wellness. A former model, she has also had the pleasure of coaching and training several young ladies who have appeared on the covers of Seventeen, ELLE, Mademoiselle, and several other respected magazines in the early eighties. Theresa holds national certifications from the Aerobics and Fitness Association of America (AFAA), AFAA Wave, YMCA Group Fitness, SCW Pilates, SCW Pilates Specialty with Props, YMCA Pilates Mat, SCW Kettle Bell, TABATA Boot Camp, Drums Alive, Drums Alive Golden Beats, YMCA Personal Trainer, Pink Ribbon Program for Post-Operative Breast Cancer Surgery, Pound, YogaFit, SCW Yoga level 1, SCW Yoga level 2, YMCA Pilates. Theresa is a motivational wellness speaker for various groups, organizations and Ladies Day events. Her column, Shaped by Faith, appears in the Owensboro Messenger Inquirer. 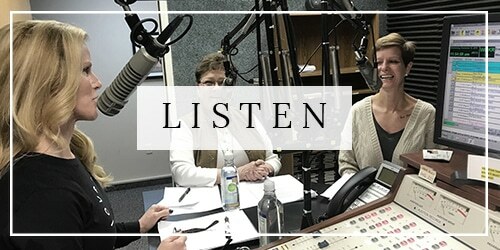 Theresa hosts Shape Up, a fitness show for Spectrum television, and is the Host of the Shaped by Faith radio show that is heard throughout western Kentucky on 1490 WOMI AM and 99.1 FM. She has produced three faith based fitness DVD’s: Pilates for the Soul, Strength Training for the Seasoned Soul and Pilates Stability Ball. Theresa is an author of Guideposts’ Shaped by Faith: Ten Secrets to Strengthening your Body and Soul. Theresa also created a line of inspirational apparel. The heart centered clothes are intended to be more than just cute and fashionable. They are a testimony. 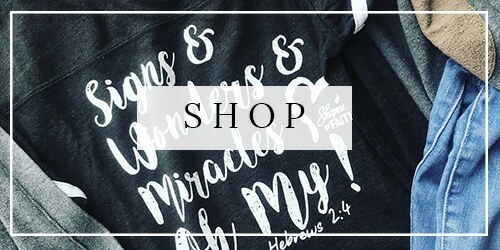 Each clothing item is inspired by God and each person who wears it has a story begging to be asked, how are you Shaped by Faith? Even though I have modeled, and coached professional runway models in the early 80’s, I do not see myself as a model. While those lessons and experiences on the runway were certainly blessings from God, I have learned that my identity doesn’t come from how I look, or what I weigh, or any reason other than from Jesus Christ alone. My identity is a Daughter of the Most High God, that’s who I am, and that’s who you can be too! When I moved back to Kentucky, God showed up at my door, moved in, and took up residence in my heart. 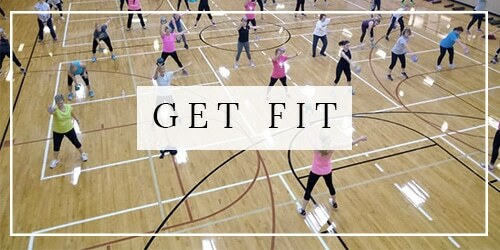 God showed me how anything done for Him is valuable, even teaching fitness classes! God will do the same for you! God uses me to coach other women on how to walk the runway of life, trusting Him to be Shaped by Faith. We are not professional models, just ordinary women given the honor to do extraordinary things for God! The best way to help others is to share your story of hope, courage and faith. We want to share the hope we have been given through Jesus Christ. He is the reason we are Shaped by Faith! Over numerous years I have watched God raise up extraordinary people to take leadership in a unified effort to reach their region with the Gospel of Jesus Christ. Theresa Rowe indeed is among those leaders. Theresa demonstrates not only a strong sweet spirit, but a deep awareness of God’s presence and workings in people’s lives. Her testimony of healing and endurance is accompanied by a deep understanding of Scripture, which she expertly communicates. Theresa coached my wife Thanna and I to better health and put us both on the road to regular exercise designed to meet our individual needs. We will ever be thankful to her for her efforts. On a much larger scale, Theresa has touched so many lives. When I served as a pastor, she directed the Women’s Ministry for a large church, coordinating the efforts of many ministry team leaders and outside resources to serve not only the women of our church but of the entire region. Her goal was always to help others grow in Christ or come to know him personally. I wholeheartedly recommend her to lead your next women’s conference or as a personal coach for spiritual and physical training.